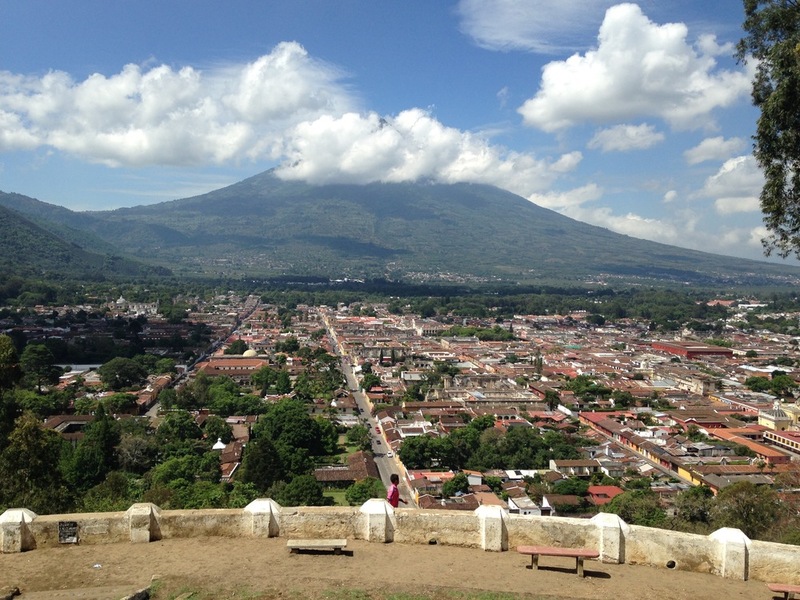 La Antigua, once the capital of Guatemala is a breathtaking town nestled in the Central Highlands of Guatemala. Stroll down the well preserved cobblestoned walkways to discover charming cafes, local artesian stores, and ruins of colonial churches or hike Cerro de la Cruz to the view stunning ariel views of the three volcanoes that surround the town: Volcan de Agua, Volcan de Fuego, and Acatenango. Weather: The weather is 70 degrees Fahrenheit and beautiful throughout the year, however temperatures tend to lower to the 50s (Fahrenheit) at night. The rainy season lasts from May - September; where it usually rains in the afternoon and evening. The weather is typically dry from October - April. Basic Style Etiquette for Men and Women: Women should pack casual yet conservative clothing. T-shirts and lightweight shorts/pants or dresses are acceptable. Men should pack short-sleeve shirts and lightweight shorts/pants. Be sure to pack a light jacket for the night time. Comfortable shoes are essential in order to walk around the cobblestone streets. Shorts must be of modest length. For other suggested activities: pack hiking/workout attire. Culture: The people of Antigua are very friendly and personable. They welcome tourists year-round, and are familiar with what tourists expect out of their trip to Antigua. Shopping: Style in Antigua is versatile. You need to be comfortable touring, look sophisticated, and prepared to transition from daytime - nighttime temperatures. Papilia will assist you with shopping recommendations prior to your departure. Parque Central - This park is the center of town; and is surrounded by Spanish Baroque architecture (as seen below), small shops, and cafes. Many people spend time with their families here, and some people also take time to relax, enjoy the scenery, and people watch. Arco de Santa Catalina - This arch (our feature image) is one of the few structures that has stayed intact through the earthquakes. You will find yourself taking a multitude of pictures capturing Volcan de Agua, and The Merced, the colonial church within walking distance from this yellow landmark. Cerro de la Cruz - Your eyes are not deceiving you when you see these ariel views of the city surrounded by the three volcanoes. This panoramic view is simply like none other; you will witness the Spanish rooftops, and courtyards that are artfully planned throughout the city. If you're a Foodie - Por Que No has delicious food with an eclectic and artistic vibe that cannot be missed. The ChocoMuseo is a fantastic place to learn about the Guatemalan chocolate industry; you can purchase all things chocolate from bars to chocolate tea and lotion. If you are in the mood to try fresh seasonal fruits, you will see women setting up small stands throughout the streets of Antigua. The nightly food market near La Merced is also an option to experience Antigua's local flavor. Safety Tip: Stay in the city center at night; the town is not well lit in any other area. If your accommodations are further away take a cab.